Tiger Woods was back on the prowl as he entered the final day of the Masters Tournament at Augusta National Golf Club in Georgia just one shot behind the leader. And there was a considerable amount of excitement and anticipation about whether the fallen can rise again and claim his first major in 11 years. But as Sunday arrived, the potential of one of the greatest sporting comebacks becoming possible was not taking center stage, as the day was being hailed as “Game of Thrones” day, with the much loved fantasy drama set to premiere its final season’s first episode. All the attention on social media was from the fans of the television drama, which includes a number of sports stars, waiting for the first episode to air Sunday night. Even The Masters’ official twitter account put a teaser involving Game of Thrones on the eve of the final round of the tournament, showcasing the Amen Corner covered in snow. But Woods, a 14-time major champion, ensured that the sporting world’s attention, along with a number of crossover fans, was on golf also on Sunday as he completed one of the greatest comebacks in sports history by winning his 15th major championship. The last time he won a major was the US Open in 2008, after which he has gone through four back surgeries and even contemplated walking away from competitive golf. He was written off by a number of experts and former players, who made it clear the legend of Woods was a thing of the past. But on Sunday, he proved that he was far from done and the entire sporting world stood up and acknowledged the achievement of arguably the greatest golfer of all time. 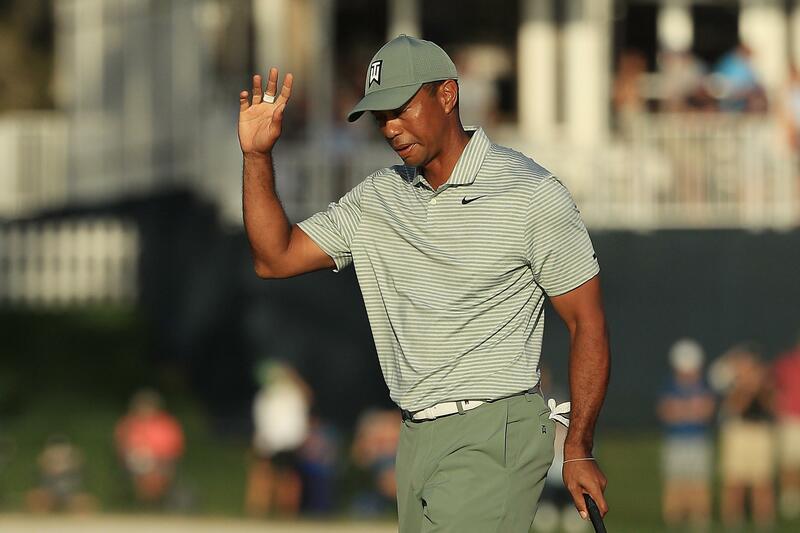 Woods also received high praise from a number of his fellow golf professionals, with long-time rival and now close friend Phil Mickelson leading the way. Ryder Cup rival Sergio Garcia was also quick to praise the American, while a number of young players thanked him for inspiring an entire generation to play the game.